Enjoy the best Milanese cultural experience that offers a truly great combination of Renaissance art, appetizers and wine. This early evening tour led by a licenced guide specialized in art history and the best wine bars follows in the footsteps of Leonardo da Vinci. 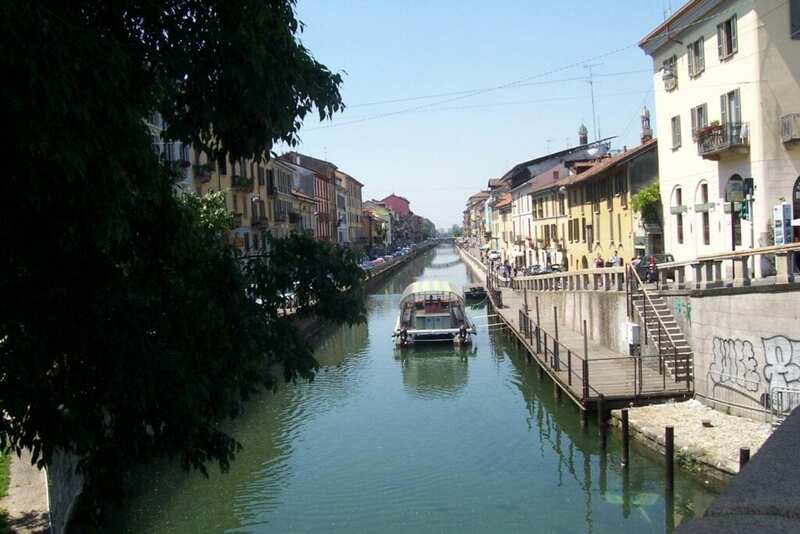 Discover the history of the city’s canals known to locals as the Navigli, now the city’s top entertainment district. Chill out in true Milanese style over an aperitivo and glass of wine in one of the district’s most characteristic spots and watch the people go by as things stirs to life. Your guide will meet you in front of one of Milan’s oldest and most illustrious basilicas, Saint Eustorgio, built on an ancient Pagan and early Christian burial site in an area steeped in legend. Inside we’ll visit the Portinari chapel built by the Medici bankers from Florence in the 15th century. Beautifully frescoed by one of the greatest artists of the day, Vincenzo Foppa, this unsung gem is one of Milan’s finest artistic attractions that heralded the arrival of the great Renaissance painters to the courts of northern Italy. A relaxing stroll then takes us to the old river port known as the Darsena. Built at the start of the 17th-century, it was once the first point of arrival for the barges carrying all that dazzling marble used to build the Milan Duomo. In April 2015 it underwent an amazingly successful renovation and is now one of the places the Milanese most enjoy during their evening passeggiata along the water. As we make our way to our final destination your local guide will give you an insight into the history of the Navigli, which date back to the 12th century and brought so much prosperity to the city, making it one of the most thriving and important river port cities of Europe. As we saunter down the romantic Naviglio Grande which will be stirring to life for the ritual evening revels, you can get a glimpse of some of the characteristic courtyards with their quaint balconies once filled with large families now the prime location for artists and their ateliers. The city’s trendiest café and restaurant district then awaits you with an aperitivo and plate of appetizers in one of its most charming spots. You can also discover the best places to spend the rest of your evening, whether it’s simply staying put as you watch the world go by over a glass of wine, enjoying a meal in a typical restaurant or moving on somewhere else.